How to Derive Use Case Model from Glossary Terms? Current: How to Derive Use Case Model from Glossary Terms? 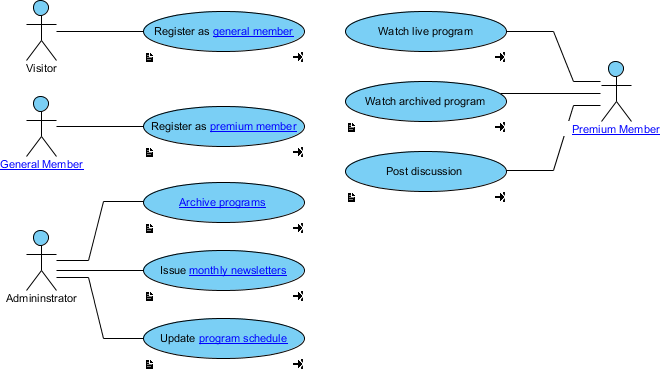 The glossary is a place to store key terms that appear in project. It is possible to derive use cases from terms, base on their definitions. In this tutorial, we will try to construct a use case model by using use cases created from terms in glossary. 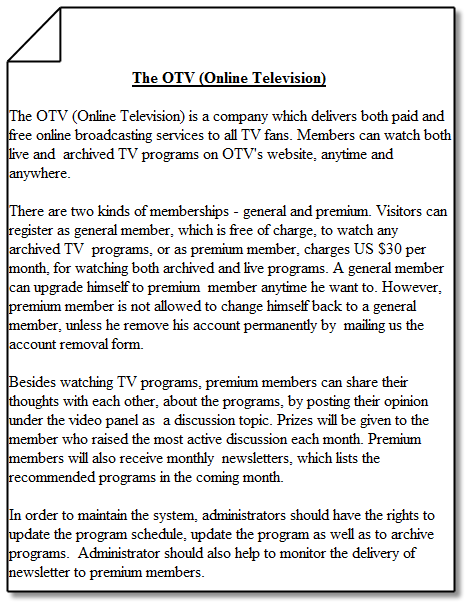 Study the following article, which describe the operations of company OTV (Online Television). Download OTV.vpp and open it in Visual Paradigm. You can open a file by selecting Project > Open from the application toolbar. Open Textual Analysis and take a look. The problem description was written in it. The words highlighted in blue are terms add into glossary before. Let's open the Glossary Grid to take a look. 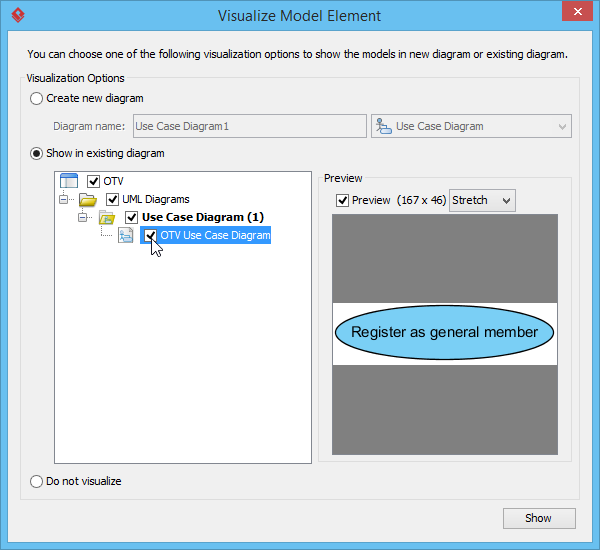 Select Modeling > Glossary > Glossary Grid from the application toolbar. Read through the glossary grid, which lists the important terms collected from textual analysis. We need to identify use cases base on the terms. Let's try with the term general member. 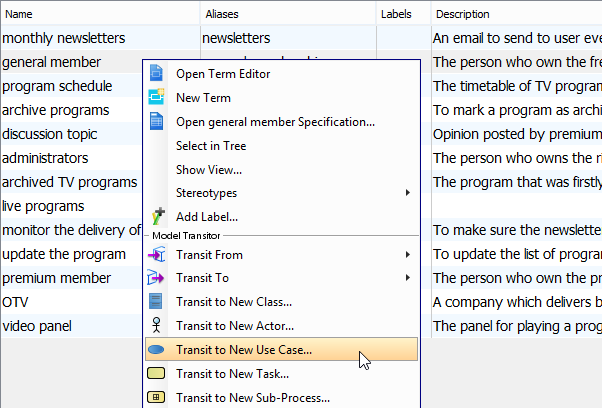 Right click on it and select Transit to New Use Case from the popup menu. On the right hand side of the Transit Model Element window, click on ... next to Parent Model field. We are going to select a parent for placing the use case. 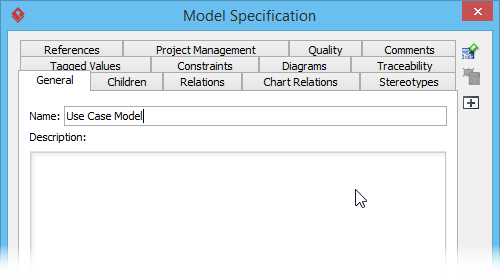 In the Select Parent Model window, select the project root node. 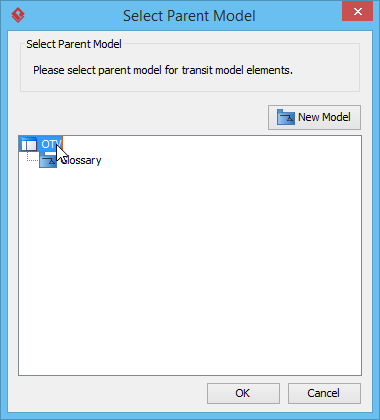 Enter Use Case Model as model name and click OK.
Click OK in the Select Parent Model window to confirm your selection. Change the name of use case from general member to Register as general member to match the naming convention of use case. In the Visualize Model Element window, keep Create new diagram selected, and rename diagram to OTV Use Case Diagram. Click Create to continue. 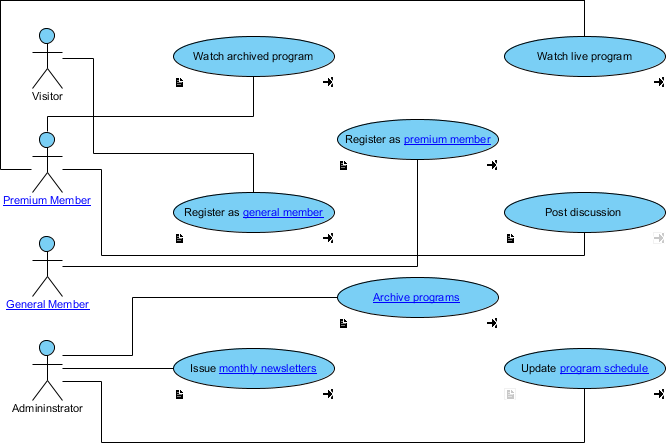 You should see a new use case diagram being created, with the case Register as general member appear in it. Press on Ctrl + Tab to go back to the glossary grid. Repeat the above steps to transit other terms as use cases. 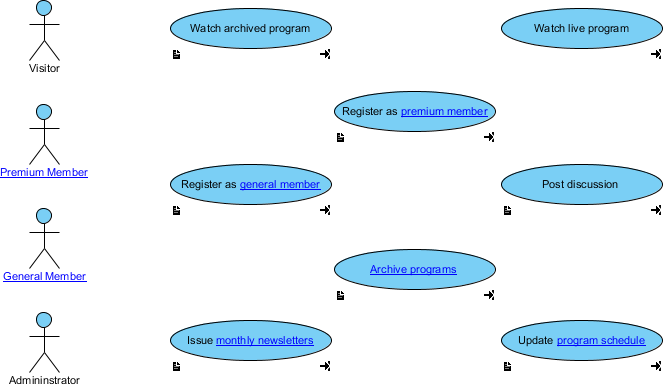 But note that we need to visualize the use cases to the "existing" use case diagram created before. When finished, the following use cases are obtained. Create actors Visitor, General Member, Premium Member, Administrator. Connect the actors with use cases as shown below. Tidy up the diagram to make it look better.